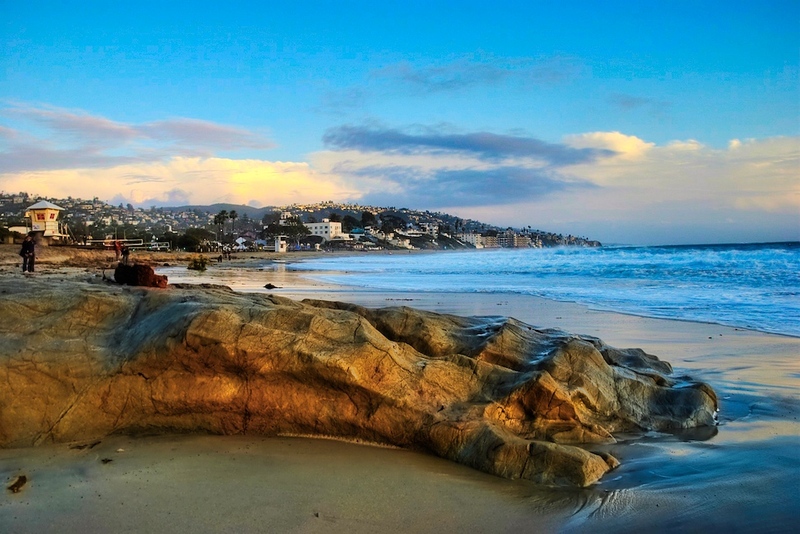 This HDR was taken on Laguna Beach, out in Orange County, CA. It’s a beautiful place and if you are nearby I highly recommend that you go check it out. Bring the camera too! I happened to be there around sunset, just after some storms had passed so I really enjoyed walking around and snapping a few. In this shot, I really liked the curved rock and it appeared to me to resemble a gloved hand or something along those lines. This is a 6 exposure HDR taken at f/13, with exposures ranging from -3 to +2. I merged them into an HDR in Photomatix, and then made my typical adjustments in PSE and Aperture, and also added a light touch in Topaz Adjust.